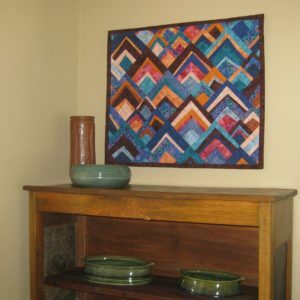 I love large wall quilts! 24′ in living room and master bedroom and 10′ standard in other rooms. 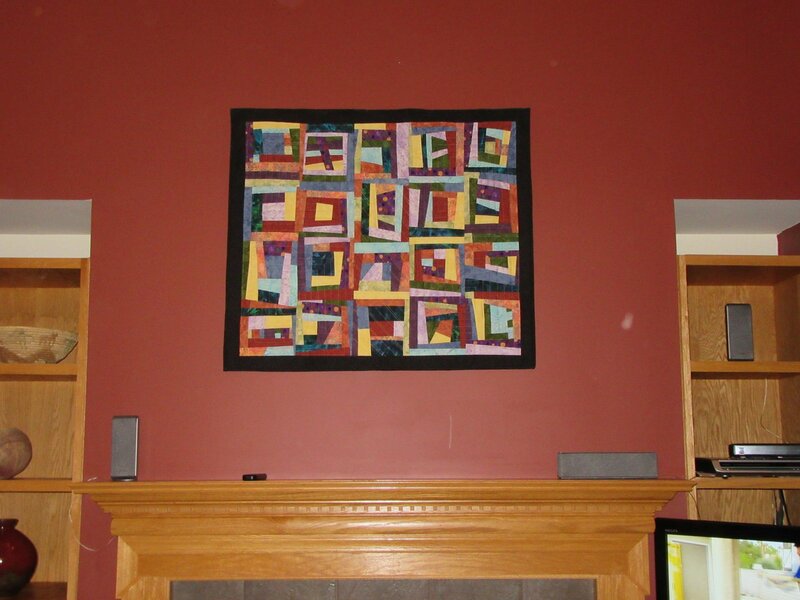 I didn’t put many limits on my design and creative process because I knew I could find a large wall just waiting for a quilt. My head became focused on design and not size. 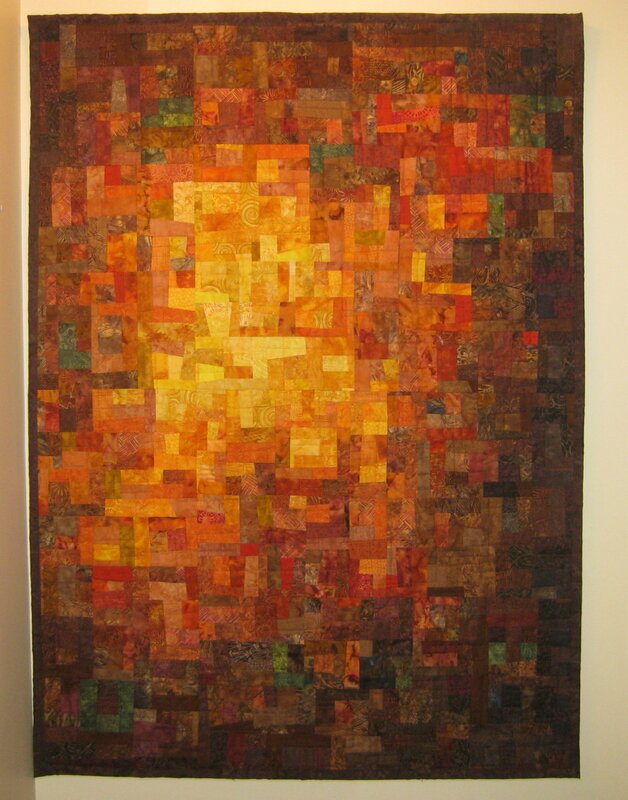 I would take an idea and start working on it and before I knew it….it was another large wall quilt. 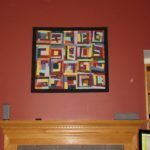 I realized in the early months of my Etsy shop that large quilts, which cost significantly more than medium and small quilts, were not my major sellers. In the last couple of years, I have moved to making almost all my large quilts for custom orders. 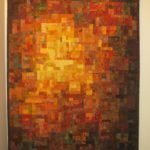 In fact, I would say that about 90% of my custom orders are for large wall quilts, that is quilts which are about 8 square feet or larger. options are equally expanded. 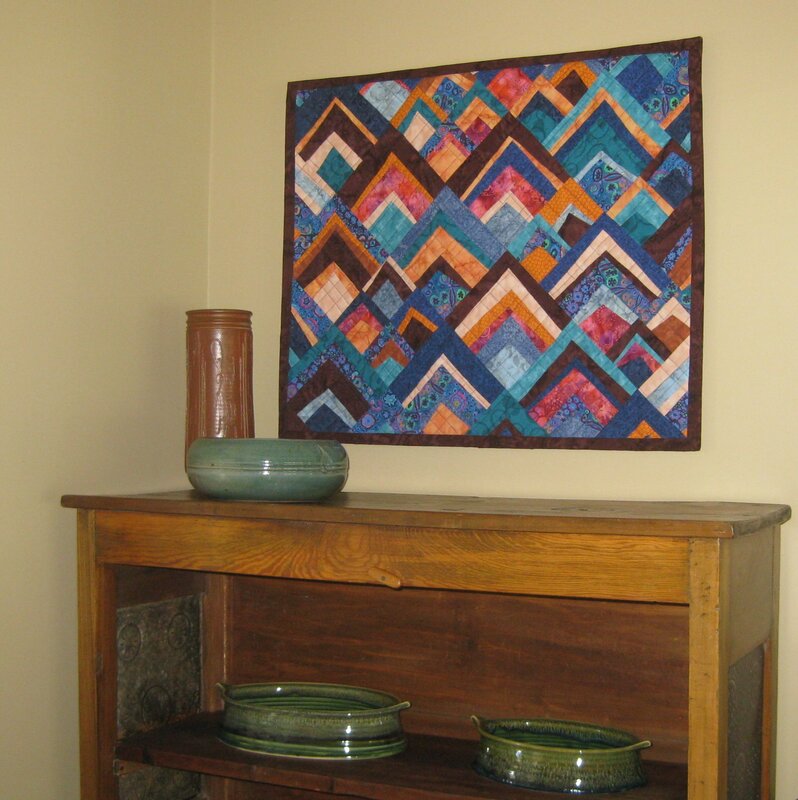 You can often create with more colors, especially with a mosaic quilt where I try to blend colors with a wide variety of fabrics. This is something you just can’t do as well with smaller sizes. 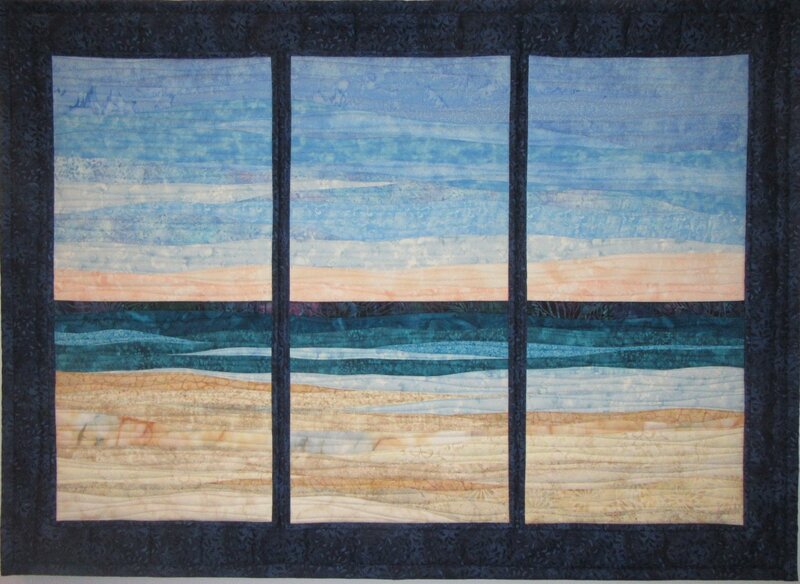 And my landscape quilts are simply more dramatic in the larger sizes and often easier to create because fabric pieces are not as small as in medium and smaller quilts. 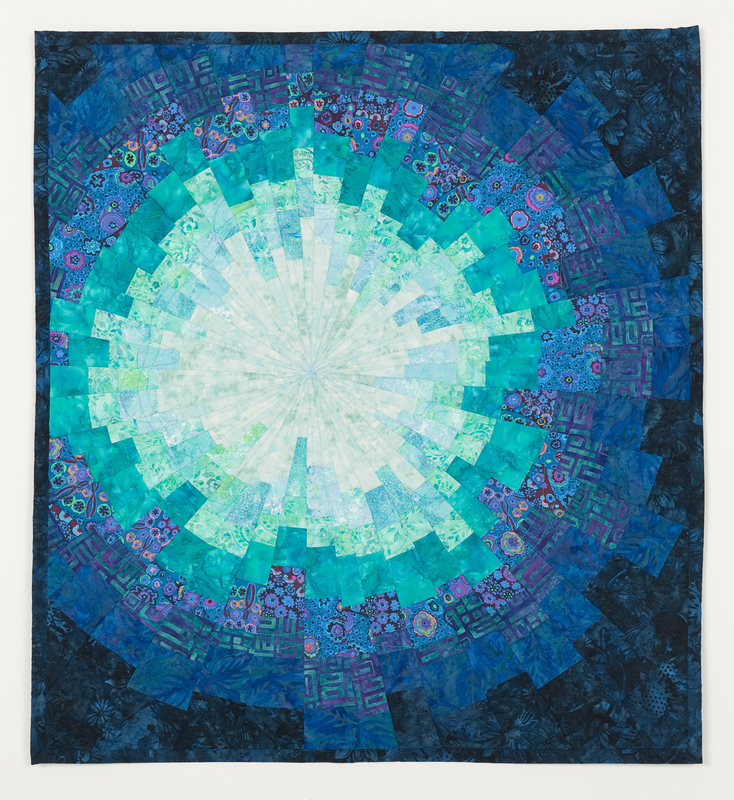 Sometimes a large quilt may actually be a triptych of three quilts. 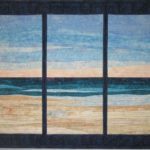 Since I don’t make wall quilts larger than 60″ on one dimension, if a customer wants a quilt larger than 60″ I suggest a triptych. 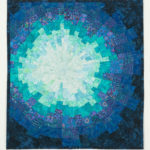 Enjoy the pictures of some of my larger quilts in this post.